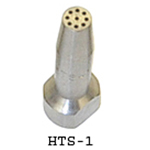 HT Series tips have smaller orifices than National's other tips which gives the HT tips a quieter, tighter burning pattern. 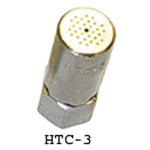 HTC Series tips are the same as the HT series except they have center orifices. 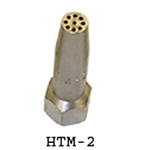 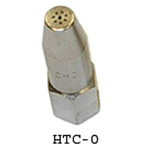 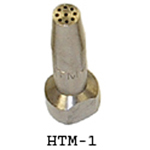 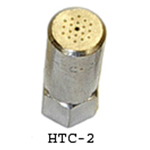 HTM Series tips have multiple orifices and are available in four sizes. 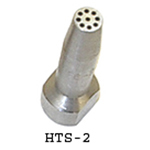 HTS Series tips are the same as National's HTM tips in a stainless steel version. 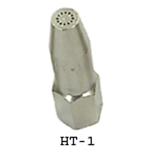 Mini and Micro-Mini tips and elbows are produced from 316 stainless steel for added strength and durability. 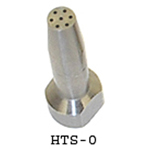 •The MSOX Mini tips are available with single orifice diameters of .020, .030, .050, .062, .075 & .100 in. 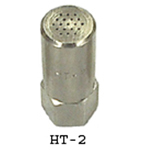 •The Mini elbows (.187 in. 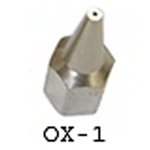 OD) are available in either straight (MS) or curved (ME) configurations in lengths of 5, 7.5, and 10 in. 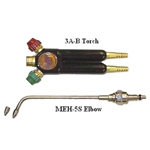 •Series MSH and MEH elbows for hydrogen service (3H torch) are also available. 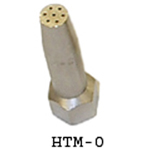 •Micro-Mini elbows(MM and MMH series) are made from .060 in. 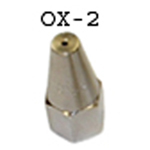 OD tubing with IDs of .020 and .030 in. 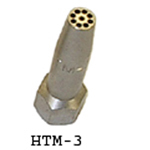 Micro-Mini elbows are either 4 in. 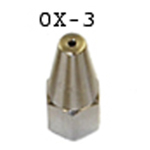 or 9 in. 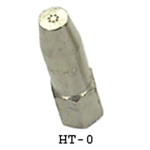 long and can be easily bent into the shape required. 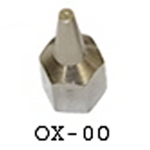 OX Series tips produce sharp, high temperature flames. 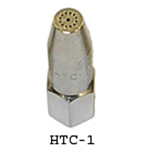 Very effective for soldering, brazing, etc. 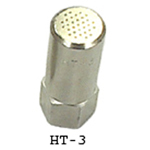 on small parts where quick heat is essential.